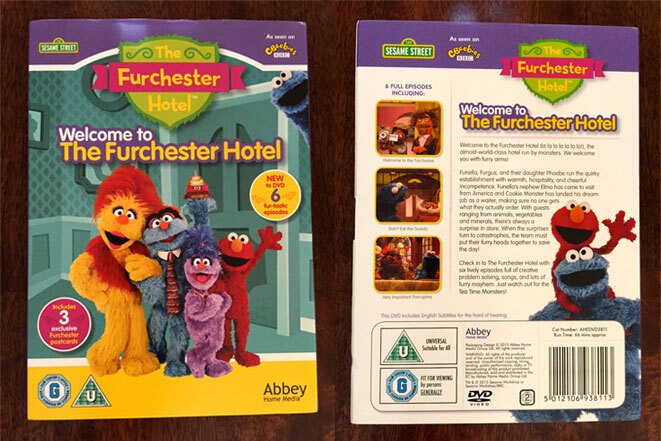 I love The Furchester Hotel! Oops, sorry! I mean Bob loves The Furchester Hotel! 🙂 I love how Sesame Street characters have made a come back and I love the songs. I can regularly be found singing the theme tune. Eventually we got to watch it. The series is set in a hotel that is run by monsters. As much as I love the programme I am not sure I would want to stay in the hotel. It has only been given a 1/2 star rating. 🙂 The episodes usually find the monsters having to solve a problem, whether it’s fixing the hotel’s telephone system or taking care of a living cookie which is difficult when the Cookie Monster is around! You can follow The Furchester Hotel and their antics on facebook. I also have a copy of the DVD to giveaway. There are many ways to enter using the Rafflecopter below. Good luck! Me too! Elmo is such a cutie! Elmo is my favourite too. Elmo is my favourite because he’s so cute. I love the Cookie Monster!!!!! Awww, she looks so happy in the photo. I was never allowed to watch Sesame Street as a kid because “it teaches Americanisms like faucet and sidewalk”. It annoyed me back then but now I’m a parent I woll probably be the same! 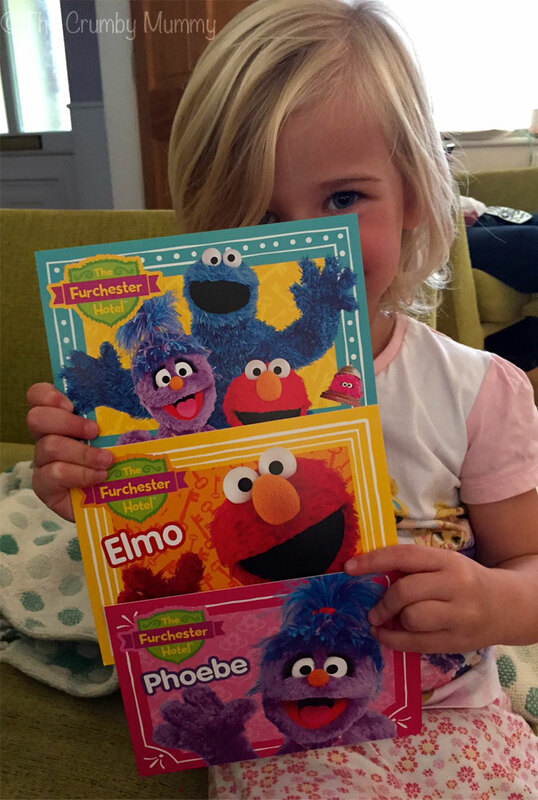 Always been Elmo, I’ve got 3 Elmo soft toys…well, I had 3, my daughter has claimed them. So crazy that Sesame is still going strong! Used to love these when I was a kid! My little brother loves them! I always loved The Count, & Oscar the Grouch! Elmo! He’s just so cute!! I always loved Big Bird! Oscar or cookie monster, or beaker! My sons favourite is Elmo too. Elmo is my Fav too. He is so cute and innocent! My boys & I love Elmo too! We love Count von Count. Elmo is my favourite too!!! we love the Cookie Monster! Gotta be the cookie monster !! Elmo for me too 🙂 Definitely!